Dog-friendly home w/ private pool & space to lounge - walk to everything! Property 2: Dog-friendly home w/ private pool & space to lounge - walk to everything! Spacious home w/ private pool - close to attractions & beach, dog OK! Property 3: Spacious home w/ private pool - close to attractions & beach, dog OK! Property 4: Vibrant home w/hot tub & private pool blocks from the beach - dog-friendly! Property 8: Eliza's Jewel is a charming property close to White Street. "LATITUDE 24" ~ 3 B/3 Ba Two-Story Home in Old Town with Lush Outdoor Oasis! Property 12: "LATITUDE 24" ~ 3 B/3 Ba Two-Story Home in Old Town with Lush Outdoor Oasis! Property 17: “SEABREEZE” ~ 3 BR/3 Ba Modern, Sophisticated Home with Pool! Property 19: Private & Peaceful Cottage Feel, Discounted Rate 25$ off 2019 nightly rates! Property 20: Cute, Clean, Cozy & close to all! Discounted rates $25 off 2019 nightly rate ! Property 22: Dog-friendly beach suite w/ shared hot tubs, kitchenette, patio space, and more! Property 27: "RIPTIDES"~Stylish Studio Located in a Central Location Near All the Action! 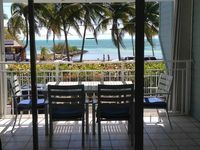 Property 28: Bright condo w/ homey feel, entertainment & private parking - beach nearby! Property 36: Cozy, dog-friendly townhouse w/ shared pool & courtyard - walk to Duval & more! Property 37: Elegant condo w/ entertainment & private parking - great central location! "LUNA VERDE" ~ 3 Bedroom, 2 Bath in a Quiet Neighborhood Near the Beach! Property 38: "LUNA VERDE" ~ 3 Bedroom, 2 Bath in a Quiet Neighborhood Near the Beach! Property 41: The Hollinsed House - Harvey's Haven - Great Location!! Property 47: "IN GOOD SPIRITS"~Waterfront Condo w/Wrap-Around Balcony & Community Pool! Welcoming, conveniently-located, dog-friendly home - walk to everything! Property 49: Welcoming, conveniently-located, dog-friendly home - walk to everything!